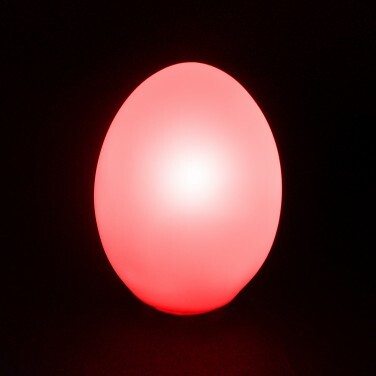 Versatile light up eggs can be used as night lights, Easter egg hunt prizes, camping lights and more, capturing your child's imagination with gentle colour changing light. 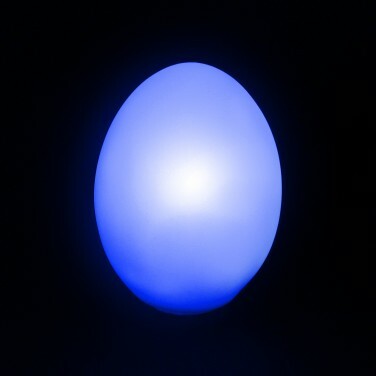 This 4 pack off egg lights allows you to place multiple eggs in a room for magical lighting effects, or you can place them around your home and garden during Easter egg hunts, or as party lighting. Whatever you choose to do with these cute little eggs, they will delight with their colourful effects proving comfort and reassurance at night. Ideal centrepiece for use on the dinner table, outdoor patio parties, holidays and more. The EGG's base is slightly flattened so that it can stand up on its own.